Product categories of Bag-type Dust Remover, we are specialized manufacturers from China, Bag-Type Dust Remover, Flat Bag Type Dust Collector suppliers/factory, wholesale high-quality products of Stainless Steel Dust Collector R & D and manufacturing, we have the perfect after-sales service and technical support. Look forward to your cooperation! There are 6 specifications for the Pulse Bag Dust Collector, each of which can be divided into 2 kinds of standard strip A type and open flanged (no ash bucket) B type. 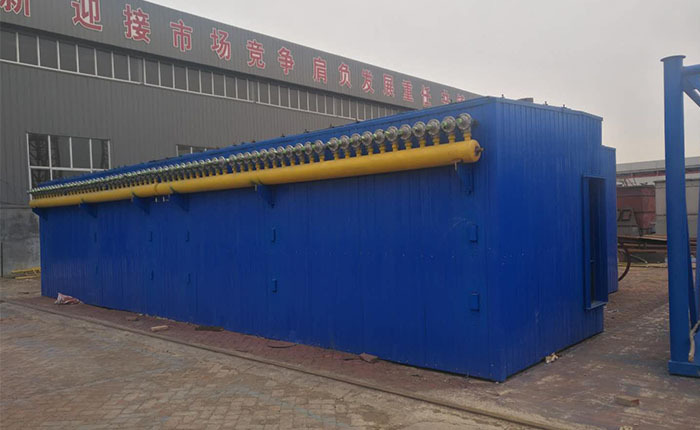 The structure is mainly composed of filter chamber, filter bag, net air chamber, ash hopper, ash relief valve, pulse injection device and electronic control box, all of which are welded by welding structure and foam for repair door. The rubber bar is sealed to ensure that the dust collector is tight and air tight. The dust remover has the advantages of good ash cleaning effect, high purification efficiency, high air cleaning efficiency, long service life, small maintenance work and safe and reliable operation. The bag filter is used to remove dust from the conventional pulsator and the chamber. The dust remover has the advantages of strong cleaning ability, high dust removal efficiency, low emission concentration, small air leakage rate, less energy consumption, less steel consumption, less area, stable and reliable operation, and good economic benefit. It is suitable for metallurgy and building materials, cement, machinery, chemical industry, electric power and light industry.